Clear skies. Low 61F. Winds NE at 10 to 15 mph..
Clear skies. Low 61F. Winds NE at 10 to 15 mph. Uber driver Trish Poston dressed as a traditional limo driver in a black suit on Halloween to have some fun. Seriously, she does believe Uber passengers should feel safe riding to their destination. ROTONDA WEST - Uber driver Trish Poston’s best advice for passengers’ safety is short and to the point. “If it doesn’t feel right, don’t get into the car,” said Poston, a Rotonda West resident who has been an Uber driver for three years. Ride-sharing services and passenger safety have jumped to the forefront this week with the death of Samantha Josephson, a 21-year-old University of South Carolina student who reportedly hopped into the wrong vehicle, believing it was her Uber ride. South Carolina authorities arrested and charged Nathaniel David Rowland, 24, with kidnapping and Josephson’s homicide. Both riders and drivers need to use caution before a ride is initiated, say drivers and law enforcement. And first instincts can be the first line of defense. “If someone looks out of place, I wouldn’t get into the car,” Poston said. She recommends passengers contact Uber for another driver. If you’re already on the road, then ask the driver to pull over. If the driver doesn’t pull over, dial 911. Ridesharing services like Uber and Lyft have some built-in safeguards. They both screen drivers and check their driving records before allowing them to drive for the service. They encourage riders to give instant feedback about any problems they’ve encountered. They also provide riders with the make, model and color of the car, the license plate number, as well as the driver’s name and photo — all factors that a rider can easily and quickly check before getting into a vehicle. 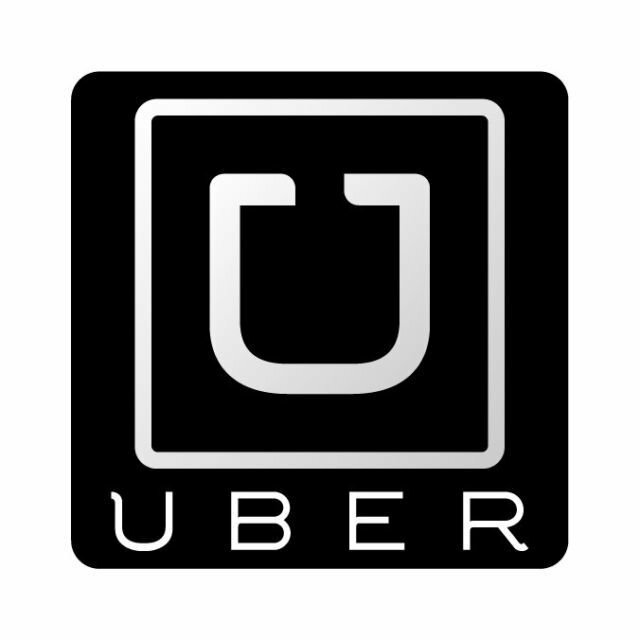 Two years ago, Randy Shockley drove for Uber and said passengers should pay close, very close attention to the detailed information relayed to them on their smart phones about their drivers and the vehicles they are driving. Also, the drivers should display their Uber or Lyft trademarked signs in the front windshield. An Uber driver, Shockley said, will also know the name of the passenger to be picked up. Uber frequently and randomly requires its drivers for updated photographs, Poston said, and have even called upon her to pull off the road and take a selfie. Even driving locally, some situations can become awkward both for the passenger and driver, suggested Melissa Irlandi, who has been an Uber driver for more than a year. Her best advice is for those leaving a bar or club and who have been drinking: Leave with someone you know, or ask the establishment’s staff for help. According to reports, a Lee County woman, after patronizing a Fort Myers club, accused an Uber driver of assault two years ago. That same year, authorities arrested a 33-year-old Fort Myers man for sexually assaulting a female Florida Gulf Coast University student. • Never take a ride-share if you are alone and under the influence of alcohol. This is the top factor for many that result in passengers being robbed or raped. • If your intuition sends you a bad feeling about the driver when they arrive, then immediately cancel the driver. Your intuition is your top safety skill and it’s better to be safe than sorry. • Track the route in advance on your phone, so you know exactly where you are going. Say something to the driver if the route is different. • Make sure the child lock is not engaged on the door before you get in. • Keep your belongings next to you and do not put them in the trunk. • Sit directly behind the driver. If the driver has a gun or knife, it is harder to point it at you. Don’t sit next to the driver in the front seat, since it offers them direct contact to you. • Pay attention the entire time you are being transported and look around. Use strong eye contact at all times since this sends a subconscious signal you are a fighter. Research done on criminals proves that they avoid people that use strong eye contact. • Don’t share any important personal information with the driver. The Charlotte County Sheriff’s Office recommends passengers share their travel plans with friends. Tell someone how you are traveling and share with them expected arrival times. Have someone check in to confirm a safe arrival. The Lee County sheriff suggests passengers carry tools they can use to protect themselves if they are endangered or to improvise. If for some reason the driver does pull into a questionable location and tries to harm you, then fight. Do not be submissive or compliant and do the opposite of their orders. • Plan ahead. Before you request a ride, think about where you’re headed and review the safety features in the app so you know how to use them. • Request your ride inside. Avoid spending unnecessary time outside alone with your phone in your hand. Instead, wait indoors until the app shows your driver has arrived. • Get in the right car. Before you get in the car, check that license plate, driver photo, and driver name all match what’s listed in the app. Uber rides can only be requested through the app, so never get in a car with a driver who claims to be with Uber and offers a ride. • Be a backseat rider. If you’re riding alone, sit in the backseat. This ensures you can safely exit on either side of the vehicle to avoid moving traffic, and it gives you and your driver some personal space. • Buckle up. The Centers for Disease Control reports that seatbelt use is the most effective way to save lives and reduce injuries related to car accidents. • Share your trip details with a friend. While en route, tap “Share status” in the app to share your driver’s name, photo, license plate, and location with a friend or family member. They can track your trip and see your ETA without downloading the Uber app. • Protect your personal information. There’s no need to share your phone number or other contact information with your driver. If a rider and driver need to contact each other, the Uber app automatically anonymizes both phone numbers to protect everyone’s privacy. • Follow your intuition. Trust your instincts and use your best judgement when riding with Uber. And if you ever feel you’re in an emergency situation, call 911 immediately. • Be kind and respectful. As outlined in our community guidelines, please respect your driver and his or her car. • Give feedback on your trip. Your feedback helps us improve the Uber experience for everyone. Our 24/7 global support team reviews feedback and will follow up with appropriate action on any reports of conduct that violate our community guidelines.